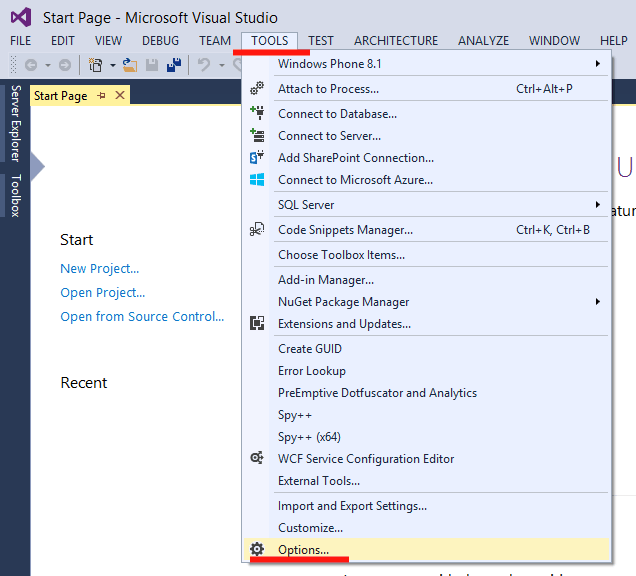 This will show you how to easily change the look of the Visual Studio 2013 Update 3 menu from uppercase to lowercase. 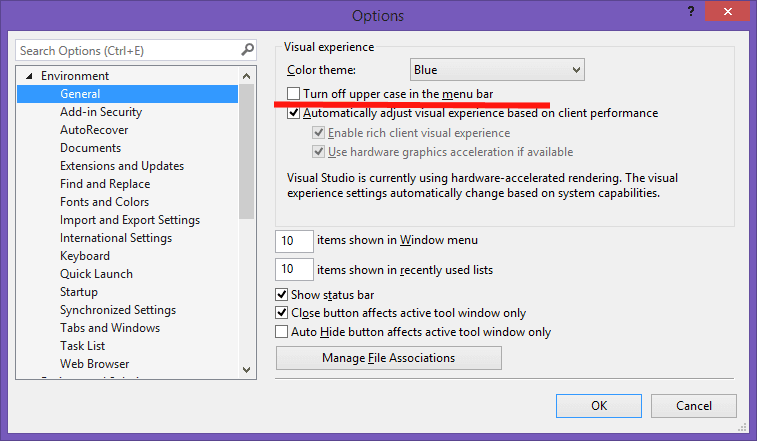 Microsoft finally heard us and added option to turn off this feature in ‘Options’ menu so no registry or PowerShell hacks are needed. Still, the upper case menu will be set by default for new installations, but when turned off it will be preserved on any future upgrades you will do.